• David D. Uhde, 50, 25 5th St. 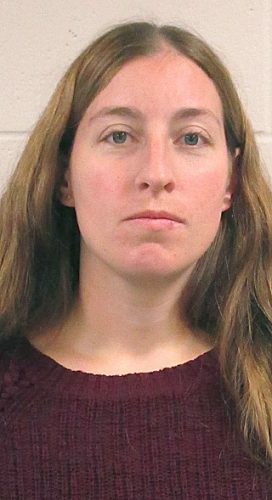 N.W., Madelia, was charged with felony DWI-operate motor vehicle under influence of a controlled substance and 5th-degree drug possession-not small amount of marijuana Tuesday. According to court documents, a Brown County Sheriff’s deputy got a call at 11 p.m. Aug. 31 that there was a car parked in the middle of the road, blocking traffic ata the intersection of State Highway 15 and CR 24 in Brown County. The vehicle was a black, two-door Pontiac registered to Uhde. At the scene, deputy Jacob Stueber stopped the vehicle that was moving after it parked in CR 24. The driver was identified as Uhde. He told the deputy he had been up since 3 a.m. for work and took a prescription hydrocodone pill at 6 p.m. He failed certain field sobriety tests and was arrested. Deputies searched his vehicle and found a methamphetamine pipe and small amount of a white crystal-like substance that appeared to be meth in the center console. An empty prescription bottle for hydrocodone was also found. At the sheriff’s office, a search warrant for Uhde’s blood was written and approved by a judge. Uhde cooperated. An NIK test yielded positive for methamphetamine. He was convicted of felony DWI-operate motor vehicle 0.08 within two hours on Dec. 8, 2008 in Watonwan County and felony DWI on Feb. 20, 2002 in Martin County.